On May 15, 2017, District Judge Paul Oetken (S.D.N.Y.) denied the motion of Comcast Corporation, et al. (“Comcast”) for reconsideration of the Court’s prior Order dated December 14, 2016. The Court had earlier denied Comcast’s motion for a preliminary injunction seeking to enjoin Rovi Corporation, Rovi Guides, Inc., Rovi Technologies Corp., and Veveo, Inc. (“Rovi”) from prosecuting its patent infringement claims against Comcast before the International Trade Commission (“ITC”). In the earlier motion, Comcast had argued that Rovi was precluded from prosecuting its patent infringement claims in the ITC due to a forum selection clause of an expired license agreement between Rovi and Comcast, which prohibited ITC actions. The Court disagreed, holding, inter alia, that since Rovi was expressly limiting its ITC claims to allegedly infringing activity that occurred only after the expiration of the license agreement, the forum selection clause did not apply. In its motion for reconsideration, Comcast argued that Rovi, contrary to its representations in December, did not limit its ITC claims to post-expiration activity. To support its argument, Comcast pointed to Rovi’s statements to the ITC that indicated it sought relief for two alleged activities of Comcast that occurred while the agreement was still in effect, namely, stockpiling and testing infringing products. Judge Oetken disagreed. While Rovi did make statements to the ITC concerning Comcast’s pre-expiration activities, the Court did not agree that these statements indicated that Rovi was actually seeking relief for those activities. 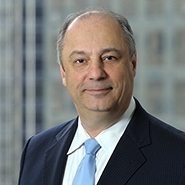 To the contrary, the Court stated, “Rovi has consistently asserted that Comcast's activity before the expiration of the Patent Agreement was lawful and that it is seeking relief for unfair acts that occurred only after the expiration of that agreement,” i.e., the importation and sales/distribution of products after the agreement had expired. Because Comcast “failed to demonstrate that the forum-selection clause in the expired Patent Agreement was triggered,” the Court denied Comcast’s motion. Case: Comcast Corporation, et al. v. Rovi Corporation, et al., No. 16 Civ. 3852, 2017 BL 161718 (S.D.N.Y. May. 15, 2017).